Where you can find relative relatable information to help you through your Fertility mystery and to know you’re not alone. After 3 months and we pushed ourselves to move forward and try before going to IVF or IUI or anything else. First begins with preparing the body. Vitamins, and diet. The right kind. All the things that matter. Chloline, folate, dha, folic acid and magnesium. These are crucial. For folic acid make the tubes healthy and the environment healthy. Along with this while in ovulation is baby aspirin. Clear blue ovulation kits the connected one is my favorite. The digital ones are just so amazing. Takes the guessing out. Pregnancy tests for when it’s time to test. Now, hows it been? It’s been ok. This is definitely harder than ever. Diving right back into trying and pushing the pain aside. Nothing about what is going on is normal yet. Unfortunately my body is still recovering and healing. Pink are cycle days and purple are ovulation days. I know you’re probably thinking “girl, just relax and stop trying so hard” here’s the thing. Tracking like this helps me to know if things are the way they were before and ovulating regularly or if it’s off and it’s off and all over the place. The other thing is don’t forget we have been ttc before 7 years with out tracking. And look here we are empty handed and nothing but losses. Trust me when I tell you I am relaxed. I’m just trying to get help from my drs and unfortunately will be switching drs now due to some situations. Taking it one day at a time and staying in the moment. This is not fun. A lot of people are unaware of the postpartum effects you can still have even though you don’t have a baby to show in real life to touch. Let’s start with what happened first. Hair loss. Hair breakage. Me being a hair stylist should know how to fix this. Yes, however it’s a work in progress as I have an entire patch of hair that left my scalp. I’ve been using Redken’s Extreme line. Shampoo, conditioner, cat, and extreme length primer. This has helped tremendously. This is just one of the spots of hairloss. Another part of the postpartum is the appetite. For 2 months I barley ate anything. Not that I was forcing myself to to I just “wasn’t hungry” so I started being smart about it and eat high protein meals when I did because I knew it wasn’t healthy just to not eat. My husband had to sometimes make sure I ate. And even though I would I would only eat a tiny bit and be full. It’s almost like my body went into shock. Didn’t know what to do. Your cycles are the hardest because you feel like it’s a miscarriage all over again. So the fear and more. 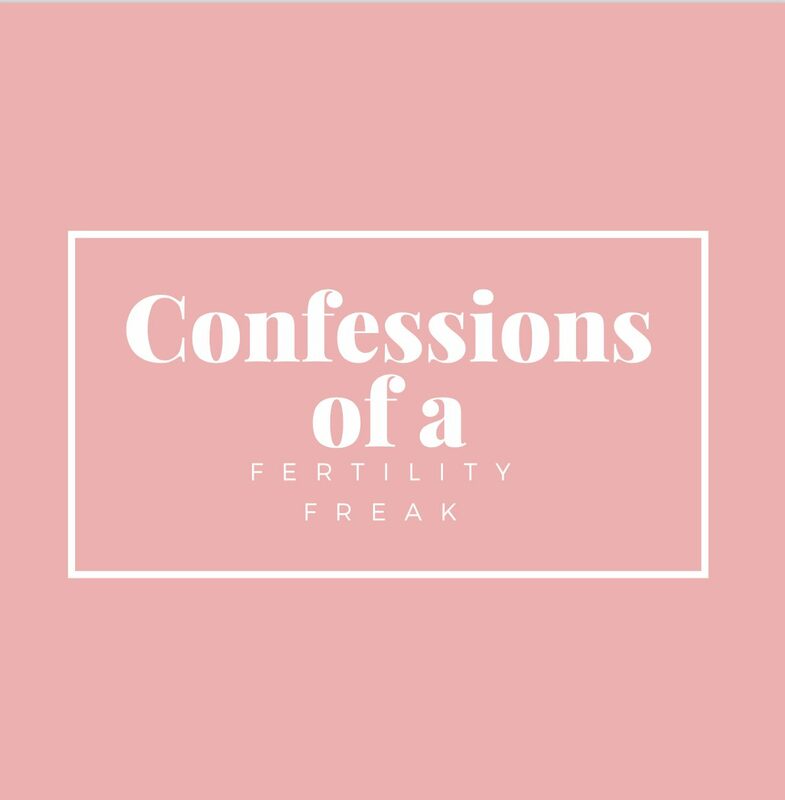 You know as I’m sharing all these things from my postpartum I would just like you to know that this is just my experience. I can’t speak for everyone. One of the biggest challenges is fear of judgement. Fear that someone will judge me of how I’m dealing with my loss. How I’m doing after my loss. What I acknowledge and what I don’t acknowledge. How I act afterwards, or how fast or how slowly I move forward. Fear that others will see me selfish. Fear that others will ask when we are going to try again, or how’s it going or what is our next move and what will that be like? All of these things I fear because I don’t know the answers or I know that I will break at any given moment if someone judges me. I will get so angry and hurt because I would never judge someone on a loss of any kind. To be honest as I always am. I also would be angry because some don’t know what it’s like to be in this exact same situation or my shoes. Most have asked how I’ve lost so much weight. Mainly eating organic, smarter, less, smaller meals. No I don’t have a workout routine yet. But I do meditate every morning. And intend on getting back into yoga ASAP. It’s so good for my soul! This is hard. I have to go to bed by 9/10 because I wake up so many times in the night. And wake up every morning at 6:30. As I said these are just to my personal experiences. Soon I’ll be posting a blog just on how to cope with postpartum. Thank you all so much for al your support and I will see you next time. Stay classy and know you’re not alone! Moving forward. What is moving forward like? It’s different for a lot of people. Would you agree we are all different? If you agree with that then you can agree we all move forward and grieve in our own way. Doing so can take someone longer than you, shorter than you or who knows. Honestly are we ever over, truly over what happens when we lose something, someone and or go through a trauma? We are never over it. We just learn how to live with it and how to move forward. Some things happened during my healing process that made me want to crawl into a corner and never come out. With already a silent subject that no one wants to discuss, due to being too raw and open and vulnerable. Why? Because we fear rejection, blame, judgment, unsolicited advice, comparison or worse of what happened to us. We honestly owe no one an explanation. Why did I seek so hard to begin this blog and to tell our story? Why did I feel it so necessary to share this sacred loss with anyone to be honest? Why? Why the hell did I put myself on a stage for all to see, judge, mock, and more? To be transparent I may sound hurt and I am. I have every right to be hurt. The way we react to things during grief is no ones business to judge and critique. I’ll tell you why I began this blog. I got a sign. If you’re spiritually connected or if you are faithful you know what I’m talking about. I’ll never forget it, I was sitting at the edge of my bed before going for my surgery (D&C) and heard a voice telling me to share my story and it’ll be bigger than I imagine and help so many. To be honest I wasn’t ready to share it with anyone. However I did. Not for you. For me, to help me and to help others. After the first post a outpouring of women flooded my inbox. Not with messages for me about my life and what has happened. About them! How already this sharing has made them feel not alone and not have to hide and stay silent! That is what I am doing it for. Right there. The fact I can help someone and build a community of help for myself. Believe it or not I really do care about people. I’m one of the most empathetic people. That could be a flaw in some eyes. That’s just me and I take pride in it. What if I told you that everyday is a challenge? That I choose to smile. That I choose to be nice to others despite what is going on with me. What if I told you that I’m reminded to this day of this loss by the now 3rd infection that I have and that nothing has been back to normal since the D&C? What if I told you That I choose to love myself and tell myself positive affirmations every day? That I am giving myself grace. That it’s only been 2.5 months since my loss and that’s not a lot of time to be “over” someone you lose. Just a reminder to those that do want to not be so nice. How is it anyone’s place to feel the need to throw out your hurtful comments that cut like a knife? How is it anyone’s place to say how I or we should react to things after a loss? How is it that those that say they are there as support are the ones that end up hurting you? How is it that it’s ok to say these things yet were the ones cheering us on to share our story and were telling us to take our time and heal. What a shock. I remember a few days after posting my first blog a friend of mine reaching out telling me that they hope that we have a good support group and that they hope no one says hurtful things. I never thought I’d get to hear even one of the hurtful things that were said. I am fine though. I can move on and move past it, however I can never forget it. Let alone not sure I can forgive it yet. So fast forward to now. Now where I am all healed to an extent. Right after the D&c and few weeks go by and I get a UTI, get medication to treat that. All while still bleeding for over a month straight. After a situation arises one Friday night after some things were said I emailed my dr. Said I didn’t feel good around certain situations and people. I go in and they continue to quiz me. I was diagnosed with postpartum. A few more weeks go by and I feel weird. Go into dr and have BV. Get on strong medication for that. Then after that I got oral thrush- candida in my intestines. All while now being anemic due to the amount of blood loss and iron deficiency. Going in for an ultrasound internal and external was not so fun. The same room I got great news in. While already just pushing through. The internal was painful enough. I was asked by the technician why I was there. Told her due to the amount of blood loss. The weekend prior where all I wore were maxi pads every hour because of the amount of blood loss and was in bed all weekend. She asked why I had a D&C. Explained it all. She comes back goes to do the internal. Says “so how old is your baby” I just looked at her. I was so confused what she was asking and if it was a joke. I literally just had told her I had a D&c for a miscarriage. She looks at me and said “oh that’s right. So are you going to keep trying” at that point I was nice back but all I could think was wow. The whole reason why I was in this appointment was because of the excessive blood loss and coming up pregnant still in a test 2 months later. So checking to see if any tissue was left. Luckily no. I’ve been working on spiritual yoga, meditation and journaling. Digging into my own self and learning to love myself. I’ve dropped 15 lbs since this and learning to look at this loss of weight not to be shadowed. Learning to love my body. Learning to be gentle on myself. Trying over and over and going through so many losses I’ve lost the self love and confidence for myself. It’s almost where I hated my body and how it’s killed off all life that ever tried to come into it. So each day I wake up and have a ritual. Loving myself and telling myself I’m going to be gentle on you. You’re a warrior and you’re so strong but you deserve love. I’m so thankful to a friend of mine who is a energy healer. The biggest thing she said that sticks with me is. You don’t have a choice in self love and intentions to set your day. It’s a must and can take 2-15 min find your way. That right there has stuck with me. I’m working on only worrying about me and the people that want to be in our lives in a positive way. Today I am infection free and just working on the anemia and working on moving forward. That’s all We can do. Stay classy, and don’t give up. This whole experience alone is a lot. Not to mention the recent results and how do you move on or forward from something so devastating? Knowing what has happened with the genetic results we are working towards more answers to see what our options are. They are currently testing my husbands chromosomes to see if he’s genetically a carrier of a double chromosome. Those results take weeks to get. In the meantime the dr has prepared us to think about IVF. Looking through the risks and all the pros and cons. As well as researching on our own for any new found research etc. If you’d like to know more about this I am happy to discuss off blog about it. This list of thoughts go on and on. We have received very thoughtful gifts from friends and family during this loss and one of which hit our hearts hard. A family member of ours dedicated a star in honor of Laila. See the images below. When we received this we were speechless. I remember opening my email like every day and just had named her the night before. Opened my inbox and saw “Laila Flora” in the subject line. My heart sank at first. I opened the email and it was from my sister in laws sister and husband. Inside was a very kind message followed with the attachment of the star. I immediately called my husband and had him look and we both busted out into tears. We both took a few minutes away from the what we were doing and just sobbed. This was such a thoughtful and unique gift. A way for us to feel like she’s here. We immediately thanked them so much for this very thoughtful gift. To this day this is printed out and placed in a box that we had made for Laila along with her sonogram. And important items that remind us of her love even if it was short lived. This gift has been so sacred to us. We have cherished and truly feel this is our way to know she’s above us. Knowing even more so why we named her Laila. An angel in the sky. We are working on healing and healing through energy. This gift felt like such a healing energy gift. Thank you Lori and Niall. Another way we have been healing is working on our energies and clearing the energy and creating a healing barrier with energy workshops, meditation and energy of light. Essential oils and a few stones have been very helpful as well. Taking the time to truly heal. Knowing that you owe no one an explanation of your pain during your time of grief. What’s been helping is reading and writing. Reading and writing. Journaling out positive things as well. Giving yourself credit and love. Honor yourself and give yourself the love you deserve. One thing I have learned during this is to make sure you love yourself first. Because this happened to me and my body. With out self love your healing can take longer and be challenging. Thank you to those that continue to read and support. Thank you to those that have been there for us during this time. Genetic testing after D&C – Genetic Results, Gender and More. You never know what someone is battling at each moment. The mind is a powerful thing and energy is a real thing. Not just physical energy. Not just mental energy. Energy in a metaphysical in nature way. Chakra energy, meditation energy, thoughts, words, actions, air around you, auras, and the list goes on. 2019 is right around the corner. The holidays are here. What a raw moment, real raw emotional time. When you’ve gone through a loss weather it be in this way or a older loved one the holidays are hard. That’s it plain and simple. Just hard. You feel empty, not yourself. Especially with the news we have been given we are devastated. ?? ?’s pop up and they don’t have answers to them. Just plain open questions that no one can answer. It’s ok. It’s going to be this way and that’s ok right now. A week and a half ago we received the test results of the baby and what happened. I won’t forget it. I was in the middle of work and got the call from the DR. “I’m going to post the results on your my chart, just call me and we will go through them or if you have any questions” never good when they call with results than just posting them. Usually if everything is normal they will post it and not call. I knew it was a girl, my husband did too. We talked about it. My father knew it was a girl. My father has this way of getting Dream visions. Predicting all babies in our family what they will be. He knew too. We now present to you images from our announcement photo shoot of Laila Flora our sweet baby girl. We chose the name Laila as it’s meaning is: Guardian Angel Laila is the divine angel of childbirth and conception. Guards the spirits from the spiritual plan to their place of birth. Therefore, is the guardian of all those souls who reborn on earth to pay their karmic debts. So, if you are pregnant and you want your child to be healthy and well, then Laila is the angel who’s guidance you need. Amazing images from our shoot together with Tina Morrison Local to Raleigh NC. We kept these images to honor our baby girl and our hearts. We love her so much and can only daydream what she would have looked like, been like. We know she would have been the most precious baby girl in our lives. We know she is loved so much by her mommy and daddy. We know she’s our sweet baby angle. In respect of Laila and my husbands and my emotions at the moment we will post a blog outside of this in a few weeks with medical questions and answers and more following the findings of Laila and how we will move forward and advice and resources for you as well. Right now we just need a moment to be able to digest it get through one of the toughest times of year. Thank you for all your support and reading. Stay classy and know you’re not alone. Miscarriage Surgery Recovery, Grieving And All In-between. It’s crazy how we can be sitting on a plane and be in our own world, shut out all around us being so selfish wanting our own space. Someone bumps into us or we have to sit close to someone and we become complacent and silent. So quick to cut someone off and jump ahead in line when getting off the plane. Yet we have no idea anyone’s story. The passengers seem so quite on the outside but have millions of loud thoughts going through their minds. Just think we literally have no clue what their story is. We have not even a blip of an idea or known fact of anything they have gone through. Yet we are so loud on Facebook and Twitter over politics and religion and our opinions of others because we hide behind a screen that gives us this sense of confidence or shall we say ego that shuts down and hurts people. We are so quick to just text and ignore phone calls. Why? Because we “just don’t want to talk”? Because we “just walked in the door”? “I just can’t right now” “I am relaxing” “they talk too much” and it goes on…. Unfortunately miscarriages are common yes. Multiple after 3 in a consecutive row is not as common. Those that have multiple miscarriages yes they know they can get pregnant. It’s keeping the baby that’s the issue. When trying to find a silver lining in these cases there really isn’t one. What we need is just listening and to know you’re there. Never ever will I compare my loss to another. Nor would we want that in return. When we do that it discounts that persons feelings and experiences and emotions. If my friends grandpa passed away I wouldn’t say “oh I know how you feel” because we don’t. They have their own feelings their own thoughts and emotions that may feel completely different. We have really no way of saying that and really being able to related in that form. How we can relate is as support. Or “people don’t know how to be there for you if they haven’t experienced it themselves, only you know” honestly that one hurts too because all you need when going through this is support, an person to check in on you and just say that that’s all. Nothing crazy. Not to sound sensitive either. Or ungrateful, because trust it, there’s so much gratefulness. It’s just a time where all they want is love. Love. Love. Love. Plain and simple. Visits, calls, etc. talk normal, check in but don’t not talk about your life too. Just think how grief is. What you would have in a time of loss. The hardest part is this is the 4th one and obviously The farthest along we’ve been, and so much more support this time. This is written because loved ones of those going through this should know. Friends should know. Honestly people going through it need this. I can’t tell you the fear. The aloneness. It’s crazy to think that before this it was just my husband and I, and now it’s still my husband and I . Eating dinner and how can I feel so alone sitting next to him? Or him vis versa? It’s the memories that never happened. It’s the pure joy that was ripped from our grasp. Speaking about the holidays, thanksgiving and Christmas. What a mess. What a complete utter mess. Joy, faith and all the above are supposed to be celebrated. Family and more. It’s just tainted. Tainted and stepped on with this flatness of a feeling. I mean let’s be honest here, who are we kidding when someone asks “are you ready for Christmas?” And I say “I don’t know” and to be honest that’s what I say. They’ve laughed it off because they think I’m referring to shopping or etc. little do they know just like in the beginning of this like the airplane, they don’t have a clue what I mean. The only gift we want is a baby. When asked what we want, we just say “nothing” and seriously mean it. We don’t want things of emptiness. We want a baby bump that has a healthy baby growing inside. We want a baby to hold and kiss and be up all night with feeding. To be up all night with when it’s sick. All those roles and responsibilities. That is what we want and nothing materialistic, no amount of money will fulfill that. Since the D&C and the recovery to the test results, figured I would share what to expect or at least know what happens for those that have never gone through it. Yea it’s been a month since we got the news of losing our baby. But the feelings are just as raw as in the beginning. I will also give some resources that have been helping us cope as well as a playlist that’s been helping. After the D&C we came home and worked on healing. Jumped into thanksgiving the next day with emotions on a string. My husband cooked while I rested. My throat was so sore with white spots all over it as if I had strep throat. I was bleeding from the procedure and it hurt to urinate. Burned and just stung. Everything was so sensitive. Just took it easy and stayed in comfortable clothes. The biggest help was the pads I used (I’ll post below) all organic, and the wipes they use at the hospital. They are infused with vitamins and aloe. So if you ever have this ask the nurse for the wipes. After a few days the sore throat went away, and the pain still remained. The pain from the procedure can be pretty bad so make sure you stay up on the medication they send you home with. Here’s where it gets scary… 5 days after the procedure I woke up at 2 am. Pain. Pain. So much pain. Ignored it best I could and rolled over. Pain. Pain. Again knocking at my body as if I haven’t had enough. I felt something hot and ran to the bathroom. Massive amounts of blood. Pain. Pain over and over this time, much louder of a knock on my body. This time I look down and I see the scariest thing huge clot trying to pass through my body the size of a silver dollar to a goofball. At that point I screamed and screamed as loud as I could. Calling my husband waking him up. He jumps out of bed and sees what’s happening. I’m freaked. “They said this is when you call the ER or you go in” I cried. He grabs the number and types it in. (Felt like it took hours) pain level was above a 10 at this point. Pain down my legs to my toes. Back pain, ovary pain. Pain everywhere waist down to the tips of the toes. “Help me! !” I screamed . They directed me to the on call dr. I now had to wait for a page. 5 min go by and I call back. This time I told them it was an emergency and I’m not sure how they couldn’t tell with my crying and screaming. I need to speak to someone now. Immediately I get directed to the obgyn on call. They suggest I come in. However said it could be normal to have any left over coming out and basically my body just “got the message” that I’ve have a miscarriage. I’ve had 4 miscarriages and yes all 3 felt pretty similar to this 4th. However I wasn’t as far along pregnancy wise and didn’t have as large of clots happening. Took 4-5 hours for the pain to settle. My husband by my side the whole time. The time between that and now I’m still bleeding. So now for 4 weeks I’ve been bleeding. Now I have a “cycle” that is so strange. Weird colors, weird consistencies, weird everything. Nothing feels normal still. While waiting for all of this to pass to begin healing emotionally or beginning to try to heal emotionally I’m constantly reminded every time I go to the bathroom. Sometimes I’m there crying looking away, and sometimes I cry yelling out loud praying “why?! Why?! I need you to save me… I hurt so bad…” and sometimes I don’t cry and I’m ok. It’s like a wave from an ocean that just comes in strong and crashes into the sand, then it’s over and it’s calm. It’s the weirdest thing. Has no timing and just comes and goes as it wants. The grief That is. Fast forward to now, now where I’m sitting in bed with insomnia not able to sleep. There’s been tons of positive vibes and prayers and people in our lives that we are so thankful for. The part we are thankful for more than anything is the “how are you? , just checking in to see how you’re doing? ” random messages have just been so helpful. This week we received the genetic testing results along with what the gender was and why the baby passed away. We will be doing a separate blog to announce all of that. With all this and that it’s a lot to digest in one blog. To honor the baby we wanted to separate the blogs. With the holidays around the corner it’s very challenging. Everything is almost like I’m viewing the season through a window. I’m here, but I’m not. I’m in the moment, and I’m present. There’s just no warm and fuzzy holiday feelings yet. Hoping that changes when my parents arrive. They are so sweet and decided to come and spend Christmas in our state! If those warm fuzzies don’t show up that’s ok too. What is important is we are so grateful for everything and everyone in our lives and that’s what matters. We will cherish the moments with the people that are here and that we love. When recovering and healing it’s been nice to have a few resources. I have been reading a ton. So here’s a few I’ll start with. To come later will be one special for healing. So stay tuned. However for now, get this book. Empty Arms- my Aunt sent this to me and it’s really incredible. The author is so amazingly talented. Follow her on Facebook too! She’s so nice. Sprays to spray on you when down or can’t sleep. Thank you all for reading, supporting and more. Please comment below and follow the blog if you’d like. Watercolor painting I did in honor of this loss and to let the emotions out. Art is a great escape that helps you work things out. Tools That Dr’s Recommend When Trying To Conceive. Upon this whole journey a part of you just wants to see results immediately. Especially if you’ve been trying years and years. Oh who am I kidding, all of you, the complete whole of you wants to see results right now. After going to the Dr. and getting tests done and trying different things she highly recommended Clearblue Advanced Digital Ovulation Test, Predictor Kit, featuring Advanced Ovulation Tests with digital results. After beginning this blog and reaching out to Clearblue personally they decided to go above and beyond in support. They agreed to sponsor our journey, if we tried their newest product and did a blog and amazon review. With that said they sent the newer, very impressive, Clearblue Connected Ovulation Test System Featuring Bluetooth connectivity and Advanced Ovulation Tests with Digital Results. Personally What we loved was the amount of tests that come in the kit, Clearblue supplies enough tests to last you more than just one ovulation cycle. More for your money. We also enjoyed the ease of stress! With the way that it connects to your phone you and your spouse can keep track as well, it takes the “chore” out of TTC! Biggest tip is to only try when you’re at the peak! And higher. Makes the stress lower and helps you only concentrate on your most fertile days. This Connected ovulation test system finds these days for you! We were able to conceive the first time using this product. So we highly highly recommend. When TTC it can be stressful to know what day is the right day, and what products to use and if to use any. What brand is the right brand and etc. Using a standard ovulation kit without the digital read and connectivity makes it challenging to really know when high or peak is. Made us have so many misses on trying to conceive! Using the clear blue connected ovulation kit it enables you to know when is your most fertile days so that you don’t miss that opportunity! The instructions are very easy to follow. My husband and I feel that clear blue has Made trying so much less stressful! Try them out today! Stay tuned for more blogs on what to use and how to use it! My wife asked that I write my perspective of our recent miscarriage. I was afraid to do so because I don’t share. I hold it in till it goes away. I needed this. Thank you for asking me to do this. I love you. Sitting at the kitchen table with my kid, working on the home work waiting on Mom to finish dinner, the sun setting out the window. Or packing up for a family trip to go camping… in the back yard because our little one is too scared of the dark to make it in the woods. To sit down next to the bed at night just to watch our kid sleep. These are the memories that never were that I had torn away from me. One week before I found my self racing to the doctor fighting back a freak out filled with sobs and hoping for just a simple scare, my wife had said on multiple occasions that she just didn’t “feel pregnant”. I passed this off as “just a good day” for her symptoms. I mean who would complain about NOT having nausea, being tired, tenderness everywhere? Plus, “you are pregnant, duh, we saw our little bean like 2 weeks ago!” 118 beats per minute from that tiny heart. I would tell her everything was fine and to relax, and later that day the symptoms would eventually return and she could finally exhale a little and relax. Finally, she couldn’t take it and needed to go to the doctor to make sure our Bean was okay. I had come home for lunch that day and used all my break to spend some time with her. She told me she was going to the doctor to make sure but the thought never even crossed my mind of what we were about to encounter. I told her to call me when she was done and let me know what they said. After this, everything gets blurry. I remember getting back to work and only an hour or so later getting a call from her. Hearing her voice crack, she told me they had not found the heart beat through the external ultra sound and were going to do an internal. I felt every bit of blood fall out of my face, as quickly as turning a glass upside down. With out hesitation I turned of my computer, went to my boss and simply said, “I have to go, I have an emergency.” Not even giving my self time to finish that sentence, I was already turning around to leave his office. I missed 3 different exits on my way. I was physically behind the wheel, I was aware of my surroundings, but I was mentally blank. It is so strange, I wasn’t thinking, at all. My mind had frozen with fear. I couldn’t even focus enough to ‘hope for the best’. This is the only time in my entire life that I have entirely gone blank like this. Finally, I snapped back to this world and made it to the doctors office. Still not entirely aware and no where near prepared. I rode what seemed to be the slowest the elevator up to the third floor and busted in the door and just walked up the counter and all that came out was my wife’s name. The nurse jumped up and walked me through the door, and back to the room she was in with out saying a word, I don’t think all I could hear was the thousands of thoughts now, my mind trying to catch up. Laying on the couch with the warmth of our babies body heating up my chest. Fighting over who’s turn it was to change the diaper. Getting to finally understand a love beyond any feeling imaginable as it has always been described to me before. I had no idea I was about to have to forget all of these memories that I had already made for myself long before they ever even happened. Loss is inevitable in life. We will all lose something or someone in our lives. Nothing I have ever lost took so much away from me so quickly. I walked in to an empty exam room where only my wife sat. I looked into the saddest eyes I have ever seen and felt my heart tear into shreds as she could only shake her head no. No. There was no heart beat. No. There was no good answer to why. No. There was nothing she or I could do to change what we had just learned. No. I couldn’t make all the memories I was dreaming of come to life. No. The doctor couldn’t perform some miracle and give me back those memories. Our baby didn’t make it. Our baby, our baby we never even got to meet, to hold, to put our finger in its hand so it could squeeze it like the smallest but most powerful hug we had ever felt, had died. I have not cried like I did in this moment ever. Nothing has ever hurt like this hurt. I have lost family, friends, co-workers – never has it felt so painful. Over the next few days I battled between sadness, out right anger, denial, pretending things were normal when I was out in public, trading off with my wife who cried and who held the other so they could cry. All of this while accepting that in less than a week it would be official, they were going to take our baby from us. This is how this procedure, the D & C made me feel. I knew it was a terrible way to view what was happening, but it was all my heart would let me feel. Someone was going to surgically take our child from our lives. Terrified of how this would affect my wife afterwards, to have a constant day in and day out reminder with absolutely no escape, no chance to pretend she isn’t physically and mentally in pain. How can this be? As she recovers from this procedure, knowing how badly she hurts, everywhere; mind body and soul, destroys me. I try to understand what she must feel – Imagine someone shadowing you everywhere, making sure that you never stop thinking about the worst thing that has ever happened to you. Every second saying “Hey, don’t forget about this…” Not to mention this person is ripping apart your insides at the same time to add physical pain to the mental anguish. I used to have the joy of taking care of her because she was growing our own little human. Now I take care of her because it was taken from us. Something as happy as watching a dad and his daughter walking through the grocery store brings tears to my eyes and my heart skip followed by sadness. This is not easy for either of us in many of the same ways, but some very different. I have my ‘husbandly duty’ to protect my wife from any and everything…and now I am helpless to fix this. She had the physical procedure, and yet we are both in pain. We are both recovering. Who takes care of who? This is exactly what people mean when they say the best way to make a marriage last is team work. I couldn’t survive this with out her. And she with out me. I have only just started to accept our state of things. I am able to begin to look to the future. We will make it. There will be another chance to start dreaming up new memories while we wait to meet our new addition. I know this in my heart. But for now, we heal. We recover. We love each other and trade off who holds the other and who cries. And I will always remember my memories that never were. Thank you for listening…I needed it. This holiday season was supposed to go a whole lot different. Have you ever had expectations and planned and gotten so ready for something that gets ripped right out of your grasp with out warning? Slips out of your fingertips and you have no chance in gripping on to save it? We were 3 weeks away from trimester 2. 3 weeks away from announcing. 11 weeks pregnant. See images of the excitement before this story unfolds. Our little bean was so loved by many from the beginning. Parents planning to be grandparents, siblings planning to become aunt and uncles. Close friends planning to meet this bundle of joy. I will never forget this. I had to leave for a work trip came home on 11/16 with flight delays and a crazy travel day back. When I returned I went to bed and just had a feeling, anxiety. That I needed to hear the heartbeat. So reached out to my nurse and she got me in. My husband couldn’t make the appointment because he had to work. He was texting me and asked me To record the heartbeat. See texts below. This was the first and only time my husband was unable to make any appointments. The dr came in and used a exterior ultrasound instead of the heartbeat finder in the picture above. The obgyn is talking to me. Making conversation and taking a while to tell me anything. I could see it in his face. He was squinting and just keeps moving around. Finally with a crack in my voice ask is everything is ok. The dr indicated that he can’t find the heartbeat, but… that I’m still in the first trimester so he wants to confirm with a internal ultrasound. My brain did not know what to do at this point other than to prepare. Prepare anything, this could be the worst news. So while I waited and he rushed the order. I called my husband and told him to leave work right now and head to the dr. The texts now went to updates on where he was. 4 min out, in elevator, coming in… texted my mom. Prepared her because I knew I wouldn’t be able to talk later if this is reality. The Dr asked if I wanted my husband there. I replied that he’s on his way, however we need answers now. Ultrasound comes in, with two nurses to witness. The DR. does another ultrasound. This time shows me. The baby was measuring a week smaller than it should have been. No blood flow through the umbilical cord and no heartbeat. Baby was face down… so much bigger too. I could see a head, side of a face, arms, legs, feet, hands… but nothing was beating… just like that. Our world ended. With the ultrasound wand still in there I burst into tears hysterically. 3 people in the room rushed up to me the nurses and the dr and just hugged me while I wept. They left me alone to cry and wait for my husband. The nurse that made the appointment, that is my pregnancy nurse, came in crying asking if I needed anything or if I needed someone to be with me. I told her “no, I just want to be alone” between tears. My husband finally gets in. I wipe off the tears. He looks hopeful and says “yeah? !” And all I could muster was to shake my head no and fall into him crying in his arms. His knees buckled and he scream cried like I had never heard this man hurt before. He was broken and I was crushed. I immediately told him “I’m so sorry”. I felt like I had let him, the most important guy to me, down. While still grasping the news. My husband and I still glued to each other weeping. Holding onto each other for dear life it felt like. The Dr came back in and looked at us with the most sadness and respect I’ve ever seen a DR do. Since my husband wasn’t there for the ultrasound and I at this point was seconds away from puking into a trash can from the amount of devastation my body was experiencing the DR explained everything to my husband and then went over options from here on out. We had what’s called a missed miscarriage, silent miscarriage. Which means no symptoms. Your body doesn’t get the message that you’re no longer pregnant. You actually still have all the symptoms and it can take 6-8 weeks carrying a dead baby for your body to get the picture and try to expel the baby. The problem is that the highest risk waiting is infection and death. Emotionally the dr with my history of loss didn’t want me holding and carrying a dead baby that long. They highly suggested the suction surgery. “In the USA we have the highest miscarriage rates out of any other country. The rate of a miscarriage at 6-12 weeks is only 5% and between week 1-2 is 75% which is where I’ve sat before now. Now I’m in that 5% with a rarer 2% type of miscarriage. So strange and just hope I can overcome this.” From me to my mom the day after we found out. On Wednesday the day before thanksgiving we went on our way to have the baby removed. Leading up to this the hospital would call and ask questions to prepare for the surgery. The call with the nurse was so nice. They were so sensitive to what I was having done. Gave advice too and warned me that they will for legal reasons all day ask me when in the hospital what procedure I’m having done. The nurse wanted to mentally prepare me for that. Which I appreciate. The anesthesia call went great. The call with the person confirming where I go went great. The call that didn’t go great was the call the night before telling me how much I owed to have my dead baby removed. Then asking me how much I wanted to pay right then and there. I started crying on the phone which is so unlike me. The lady was caught off guard. “Mrs flora, are you ok?” She asks. Fighting through the tears with broken speech “no, this wasn’t planned. Can I please have time to talk to my husband and decide how we want to pay for this?” Keep in mind she said the procedure I was having in the beginning of the call. To pause: The procedure was called a D&C also known as the same procedure they do for abortions… none of this at all sat well with me. Was not ready for that. Really any of this. What was going though my mind? Fear that I would die in the procedure. Fear that I will never get pregnant again. Fear that We will never become parents ever. Fear that the emotional pain and the physical pain will consume me. Blame that this is my fault. Blame that if I would have done things differently that the baby would still be alive. And much much more. Felt a rush of love from family and closest friends that are basically family. Flowers from my husband and flowers to us from my parents. There has not been a day we both haven’t cried. Or haven’t smiled a lot. We checked in at the hospital. Everything about the hospital visit was smooth and super private. The dr didn’t want me remembering anything of this experience so they did put me completely under for the procedure. They kept the privacy curtain up the entire time during pre op and post op. The Dr came in and did one last ultrasound to confirm. We were praying for a miracle but there were none to be found. This time the baby wasn’t face down which made the image in my mind better. However, this was done again without my husband back there yet. That’s the one thing I would have changed. You need your spouse there for that. They deserve just as much to see that. (We are asking for images for my husband). They took blood to run Karyotype screening. This was during the pre op getting me prepped before my husband could come back and see me off. When the nurse was hooking me up I would just cry randomly. She wouldn’t say anything. Just hand me tissues. They were so respectful and nice. Was time to go. Kissed my husband and out I went. They had already given me anxiety medicine to help with any fear. Got into the room and all I remember is having to switch tables and then they gave me oxygen and I was out. My Husband was allowed back and we just sat there in silence. Now after everything is over. The feeling of emotions rush all the time. There isn’t a day we don’t cry. There isn’t a moment that goes by that we don’t think of the baby. With the genetic testing the drs are doing with the baby we will honor the baby with a name and knowing the gender and will announce it eventually. The genetic testing is a very through series of tests that will let us know more. We could find out the baby was fine and that it just didn’t survive. At that point our fertility specialist is prepared to test other things on us to help us find answers. This may be the 4th miscarriage. This may be the farthest we have gotten. This does not mean we are giving up the fight. The genetic testing looks at chromosome abnormalities and infection that could have caused the babies death. These results can take 6-8 weeks. With so much emotion my husband wanted to join the blog with his perspective. I honestly don’t know what I would do with out him. He’s been there everytime I need him. Every cry. Stay tuned for part II from Husband Flora. When things happen to us it’s so easy for us to feel that the world is frozen in time and you’re trying to just get through the frozen ness and melt it slowly so you can digest and get your brain to grasp on and wrap your head around it all. It’s so easy to not be able to know how to react either.. This post is more about the journey but also staying true to your beliefs. What are beliefs? Beliefs are simple things. Example: I believe that if I am open and honest I’ll have successful relationships. Beliefs turn into habits. Sometimes we can have bad habits that stem from a negative belief. So know that this is a way I and my Husband live. We live by also altering the way we react and respond to things. We are human though and humans make mistakes. I’ll be he first to admit when I make a mistake. Making a mistake makes me feel awful. Sometimes when we make mistakes we justify deny and lay blame on things or people. This makes it easier for us to feel better about making that mistake. Will I be able to be self aware and mindful of my actions if I do that tho? No. This will all make sense when I tell you what has been happening. We had our first fertility appointment a few weeks ago. Which consisted of a sit down consultation. Nothing can prepare you for this open raw hour and a half that feels like an eternity moment in your life if you’re going down this path. This moment was to bring up anything and everything. Air out all your laundry about the bedroom life, your cycle, your miscarriage(s), the entire history of you down there. Not only that but then your spouse, his life in the bedroom, looking at his numbers (from tests) and discussing both of your lifestyles. What you eat, what you drink, what you do, what you’re around. You may have expectations of this appointment and I’d say set the bar low. Everyone told me that this would bring so much to light and instead I ended up being an emotional roller coaster. Especially when talking about all of the womanly struggles as a teen in and out of the hospital and into the miscarriages. The Dr. is very nice and caring and understanding. But the pain you feel is like reopening a door you put a pad lock on and used bolt cutters to open it. It wasn’t wanting to be opened again. It was healed and ready to move forward. I had to remind myself to be open and not to deny myself of anything that could help. She had a list for us to begin. One was for me to begin taking baby aspirin one a day all through ovulation and keep going until she tells me to stop. Google it, seriously. She was right, there are tons of articles out there where findings have been by doing that one simple thing it fertilizes your egg to accept and keep it instead of your body rejecting it. I was on board to try it. Next on the list was for his motility, stop smoking, boxers that are loose not briefs, better diet, lighten up on the alcohol intake, no computers or cell phone by nether regions, a big one was to increase antioxidants. And to get another test done. He began all of this. Went in for his next test and just by shifting a few of those his motility came back up. Next was to check my thyroid levels. Immediately after the appointment I went into a room to begin to get my blood drawn. Getting blood drawn is easy. They find the vein and draw what they need. Through this process I’m used to getting it done 2x every other week. This time at the fertility office the girl asked me to tell her if it hurt. Or if the strap was too tight. That was a first. Then she collapsed my vein. Then asks a co worker to come in and help. She comes in and collapses the other vein. And we’re still trying to stick me. By the 4th stick I asked if I could leave and come back. So I rescheduled, went to the car and just cried. As weird as it may sound that little of a problem brought out a lot of emotions. When already on a emotional journey. Now with arms full of bruises I have to work. So I quickly get those tears Wiped off and head to work with a smile. the nurse tells me to come back eat before and also that she’s going to call me in a Xanax … great, drug me up before. I still haven’t gone back. I requested that my order be sent to my obgyn office where they draw my blood all the time and never have problems. Taking notes on him needing antioxidants and new boxers and watching both diets even closer and taking 1 baby aspirin a day during ovulation and a clear blue test. Next blog I will review the clear blue ovulation kit as they have sponsored! Thanks so much for reading and stay classy and know you’re not alone in the journey.